The 70 South Gallery – Lighting and Model Photography workshop was a huge success. Thanks to some great organization by “Adventures in Photography” (NJ, NY and New England) and the 70 South Gallery, Morristown, NJ. The workshop was sold out and we were fortunate to have decent weather for some of the outdoor shoots. I would like to thank the participants, the models and the organizers for all the hard work and support that made this so awesome. Studio lights were Profoto and Arri, outdoor speed lights were Nissin and personal on and off camera flashes. Lastolite reflectors and the Phottix Luna but dish were also incorporated in the various sessions. 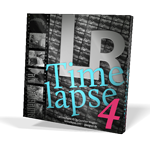 LRTimelapse 4 is the latest enhanced version of the popular tool for generating ultimate time lapse sequences and provides new editing capabilities that will help you to bring your time lapse videos to a whole new level! This upgrade brings improved workflows, enhanced performance and many new features! The new Visual Deflicker is now one of the best deflicker tools available. This tool works with the metadata of the RAW files in single and multiple passes resulting in silky-smooth sequences. The Visual Defliker when used in combination with the “Holy Grail”-Wizard, even difficult Day-to-Night and Night-to-day transitions are generated as smooth and visually appealing clips. Video export enhancements allow up to 8K video resolution in MP4, ProRes (Mac and Windows) or the new H.265 formats. 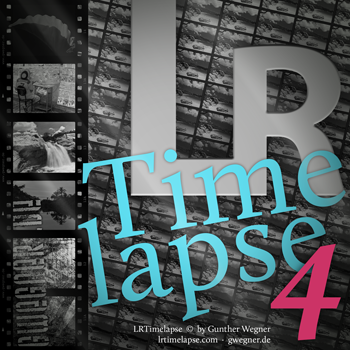 Most importantly LRTimelapse 4 and the LRTExport Lightroom Plugin now fully support Lightroom 6 / Lightroom CC for faster Rendering including the new Lightroom Features like Filter Brush and 16 bit HDR DNGs. Click on the icon below to order or to upgrade. 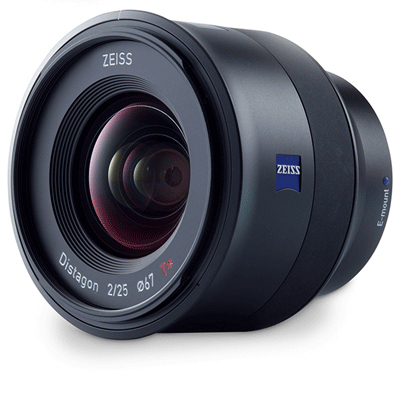 The ZEISS Batis 2/25 and ZEISS Batis 1.8/85 are the first full-frame autofocus lenses for Sony’s E-mount cameras to be exclusively developed and distributed by ZEISS. This new family of lenses is particularly suited for the use with Sony’s alpha range of mirrorless full-frame system cameras. The two new lenses will be shipping in July 2015. The new ZEISS Batis 2/25 and 1.8/85 lenses are the first full-frame autofocus lenses with an OLED display for the mirrorless Sony α series and therefore the pioneers of a new era. As professional tools, they enable outstanding image performance, impressive contrast and maximum resolution down to the very last detail. The innovative OLED display shows the distance of the focal plane from the camera system and the depth of field, ideally supporting creative image composition. Of significance is the fact that you will be able to see the readout in low light conditions. The display is powered through the camera. The OLED display is an absolute highlight – an innovation that is currently unparalleled in camera lenses. 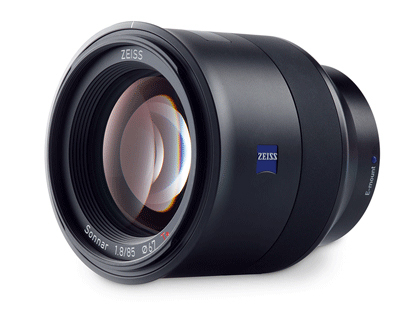 Available this summer – The ZEISS Batis 2/25 and 1.8/85 lenses will be available for purchase in April and start shipping in July 2015. 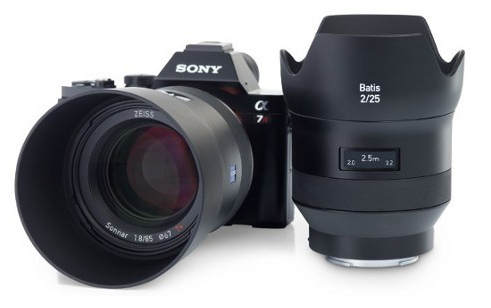 The recommended retail prices are $1,299 for the ZEISS Batis 2/25 and $1,199 for the ZEISS Batis 1.8/85. The 2015 Boston International Film Festival was held this past weekend from April 16th through the 20th. It was a pleasure to have press privileges to photograph the Red Carpet presence, interviews and various functions. Also had the opportunity to see some incredible movies, short films, documentaries and feature films. The following are links to the daily galleries. You re welcome to screen grab any images for personal use. If you would like high resolution images, edited images or images for any use other than personal please contact us via email at info@shivverma.com – please provide image numbers, and day references. Please clearly state the how and where you will be using the image/s. Biff Day 5 – These images will be available in a few days. We take user feedback seriously. Our team has worked hard the past several months to improve performance and user experience in the latest release of our photo-editing app – Perfect Photo Suite. In this latest release, version 9.5, we’ve improved performance and usability for customers in several areas which include; browsing photos, portrait retouching, processing speed, feature additions, and enhancements. Browsing photos is one of the key improvements and one of the most important tasks for photographers. Today, photographers use Perfect Browse as a front end to their workflow with other programs like Adobe® Lightroom® and Photoshop®. The biggest reason to adopt this workflow is speed. Browsing photos must be fast, period. Improved speed in viewing photos assists in organizing photo libraries and helps determine what photos you want to work on. Specifically, the ability to view large Raw files in detail can take forever with some apps. Not with Perfect Browse. Users will see up to a 50% increase in speed with the latest version. Quickly seeing all the detail in photos without pixilation allows for faster culling, sorting, and rating. Then send your photos with the ratings intact to Lightroom or other applications, faster than ever before. We’ve also added new features to Perfect Browse, which makes it a great standalone option for getting organized. on1 Albums allow you to create a collection of your favorite photos and provide a fast way to view them without searching. Want to drag and drop photos into an album? It’s simple to do right in Perfect Browse. Select the photos you want to add to the album and drag them to the Album Hot Spot. Photos in an on1 album can live anywhere, whether in the cloud or on your computer. Another area we’ve focused on is improved speed and performance for portrait retouching and filters in Perfect Effects. Perfect Portrait is now faster than ever for auto face detection, and finding the details of the face, eyes, lips, and mouth. 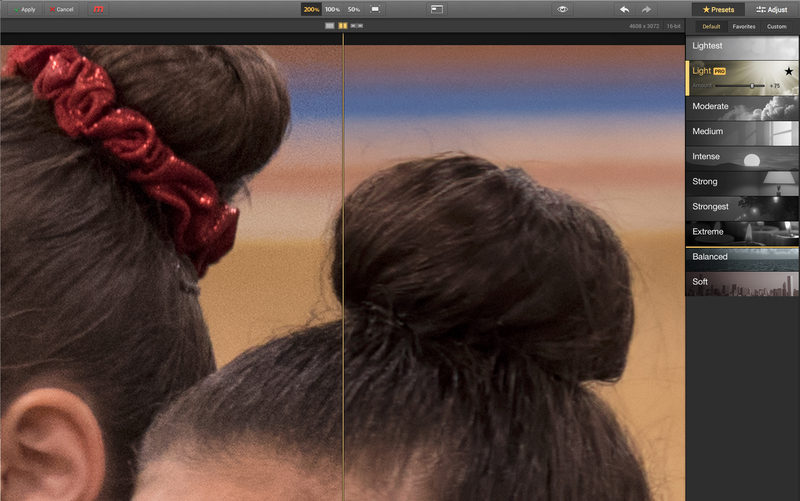 With easier to adjust control points and smoother sliders it makes for much quicker portrait edits. Many of the filters in Perfect Effects have been updated to use the computer GPU to make them much faster. In addition to all the performance enhancements, Perfect Photo Suite 9.5 also has some great new features. The Line Mask tool allows you to create a straight path for masking sharp edges where brushing is difficult. Luminosity Masks have also been added for users to work on the luminance values or lighter and darker parts of a photo based on a specific selection. Click on the banner below to order your copy or upgrade now. Macphun the makers of Tonality Pro, Intensify Pro, Snapheal Pro and Focus Pro today release a public preview of their latest product Noiseless Pro. It will be released as two versions Noiseless and Noiseless Pro. The pro version includes the ability to work with RAW files and will work as a plug-in for Photoshop and Lightroom. One you install it and launch it the first thing you will notice is its simplicity. It has a series of presets from Lightest to Extreme. Lightest I’m my initial tests did a great job. Multiple views and side by side comparison windows help you assess the amount of noise management. Zoom tools allow you to see how well it is handling noise and maintaining detail. Included is a wipe tool for previewing the effect. Preview is not instantaneous but the software does render the effect fairly quick. 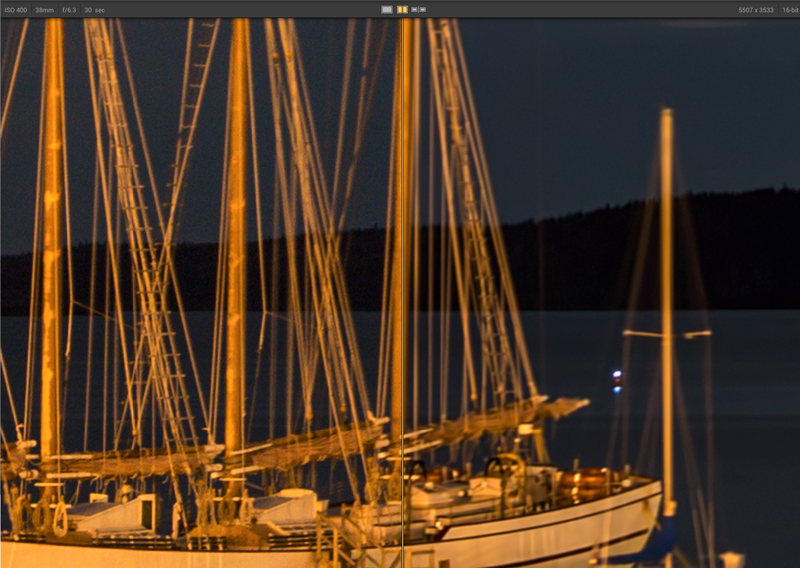 Though the pro version will work with RAW files, my preference would be to allow the raw conversion using Adobe Camera Raw, DxO, or Capture One and then bringing the image into Noiseless either as a pug or as a saved tiff file. This is by no means a full review but a quick note to assess the pre-release and give an initial verdict – the product is simple and very good. I will do another review when the final release is available in the next 8 days or so. Join us on April 25, 2015 for a one day, 3 hour, educational and hands-on lighting workshop. You will learn how to light for portraits and leave with an understanding of how light works, color of light, quantity of light and quality of light. You will learn how to get consistent results and be confident in lighting your subject in any environment. 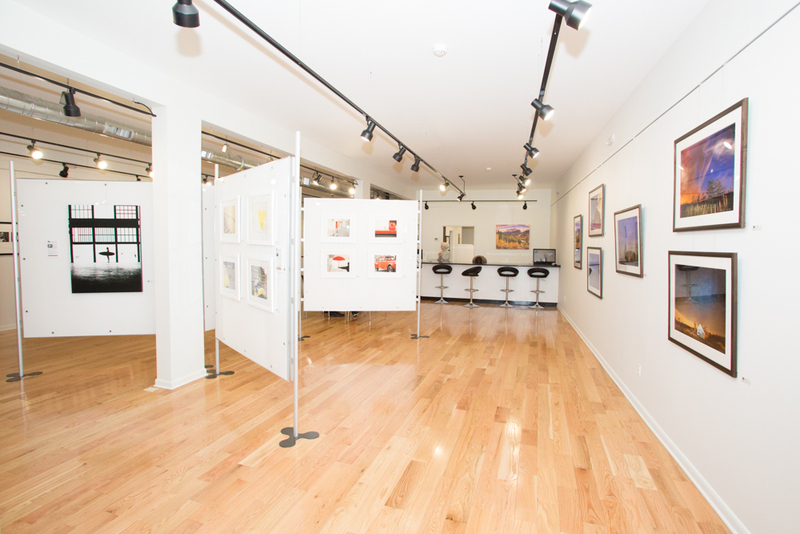 The environment for our model photo shoot will be the 70 South Street Gallery, a uniquely new and beautifully modern photo gallery located at 70 South Street, in Morristown, New Jersey. Participants will have the opportunity to shoot models at each of three light set-ups using their own cameras (a troika). The final and third set up will be out in the street in front of the gallery using the charming background of Morristown. Portable lighting may be used as required. While shooting in the natural environment of the gallery and the streets of Morristown, you will learn how to control backgrounds as well as how to light your subjects. Here are some samples of what can be achieved when shooting in a natural environment such as the streets of Morristown. Since there will be a different model at each of the 3 shooting stations and only 9 photographers, the photographers will split their shooting time between all three stations with only 3 photographers at each station at the same time. The hands-on experience, both indoors and out (weather permitting) is an invaluable means of re-enforcing the topics we cover. The workshop is designed for serious amateurs, hobbyists and emerging pros. You should bring your camera body with a lens capable of focusing between 85mm and 100mm focal length and wide angle lenses capable of 24mm focal length (this is optional). Zoom lenses in the 18mm to 200 mm are also a good choice. 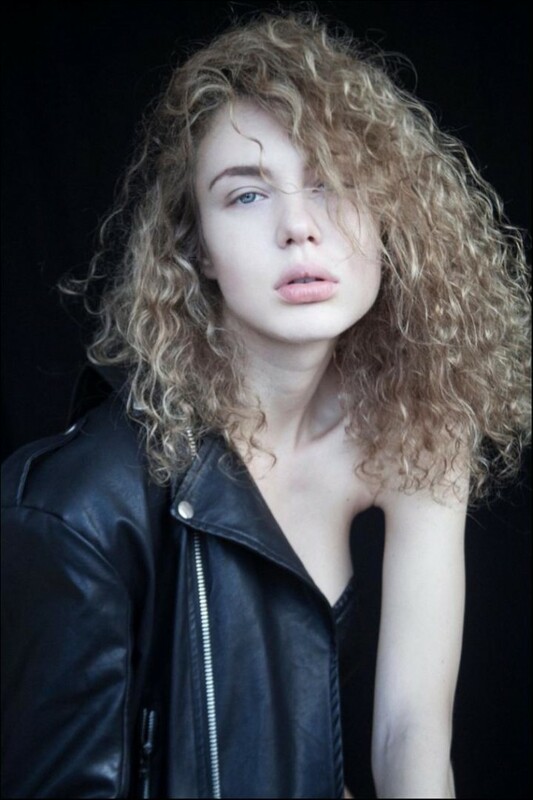 Model releases will be provided and one or two images suitable for the models to use in their portfolio will be greatly appreciated. In case you’ve missed it, Adventures in Photography (AIP) has organized a 5 day/4 night workshop on Martha’s Vineyard over the Memorial Day Weekend where I will be instructing. This is rare opportunity for photographers and their non-photographer partners to share some quality time together. 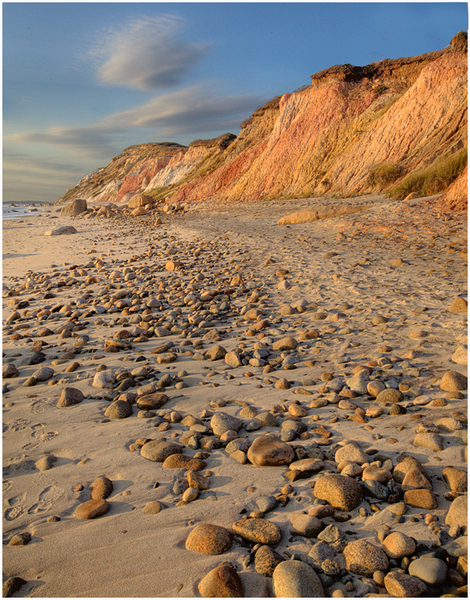 Photographers get to photograph the beauty and charm of this unique island community while their non-photographer partners explore the charming New England character of Martha’s Vineyard. Adventures in Photography (AIP) has reserved all of the Ashley Inn’s 10 rooms from May 22nd until May 26th. We can accommodate 20 people based on double occupancy. The Ashley Inn is an upscale B&B and breakfast is included. We still have a few rooms available but expect that they will sell out.